July 25th. 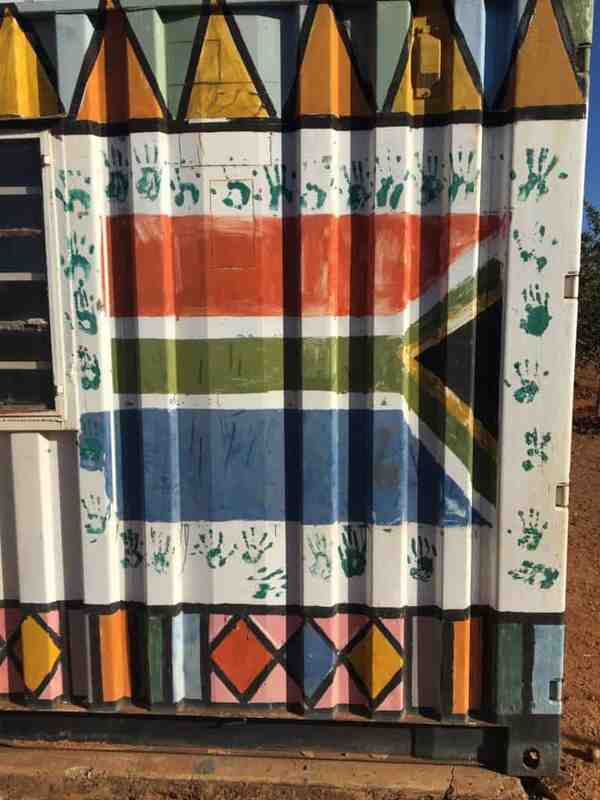 Volunteer Jenifer Anzivino writes about experiencing CAC and South Africa for the first time with Red Cross in Limpopo. There are two type of people in this world, the dreamers and doers. I grew up playing soccer my entire life and traveling all over the US. Once I was done with playing I knew I wanted to stay involved in the game so I started coaching. Personally, I am not one to just make rash decisions but once I heard about CAC I immediately thought this was an amazing opportunity to do the two things I love – coach and teach with a bonus of being able to travel. Without sitting there and analyzing the opportunity I immediately reached out to get involved. A few weeks later I got my destination, South Africa. July 8th I arrived at a hostel to meet up with the coaches I would be working with for the next 3 weeks. They had just arrived after spending 3 weeks in Cameroon. Within 24 hours of meeting Charlie and Leah I knew the week was going to be one to remember after getting a nice “love tap” on my forward for being the last one to put my thumb to my forehead after a burp (to be honest, I still lose at the game every time so I end up slapping my own forehead). That first night we met up with the Red Cross in Limpopo to have dinner and discuss the week ahead. The people from the Red Cross could not be any more welcoming and grateful for CAC returning for the third year. There were a ton of laughs that night getting to know everyone. From that dinner the laughs never really stopped On and Off the field. We had such an amazing, exciting, appreciative group of coaches to work with. The age of the coaches was a huge range but each could not be more eager to learn and become great coaches and role models in their community that faced a large number of challenges. 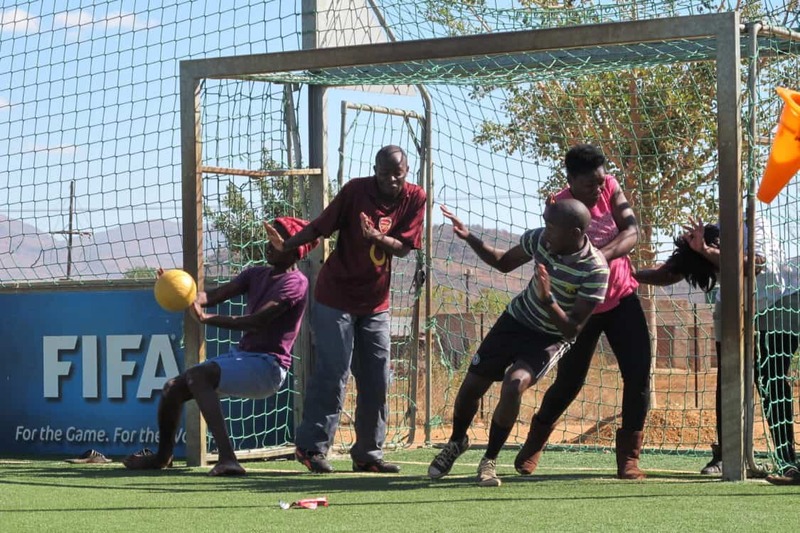 We also got the opportunity to play against some of the staff from the Red Cross which was amazing. As the sun went down we stayed and played 5v5 (CAC WON), even though the next day the three of us struggled to walk from being so sore! As the week wound down and the realization hit that we would be leaving these amazing people, our last day was honestly an emotional one. One of the female coaches could not contain her emotions that the program was over, a contagious feeling. At that moment it truly clicked that all our work, games, laughs, and educational messages were genuinely valued. I can not thank our participants and the Red Cross in Limpopo for making my first trip with CAC one I will never forget in South Africa.